So you think you can PLS-DA? BMC Bioinformatics, In Press 2019. Chapter 19, pages 267-295, in Blockchain in Healthcare: Innovations that Empower Patients, Connect Professionals and Improve Care (HIMSS Book Series), Editors: Metcalf, Bass, Hooper, Cahana, Chillon, CRC Press, 2019. ISBN-13: 978-0367031084. BMC Bioinformatics, In Press, 2019. Proceedings of ICCABS Conference, 2018. J Forensic Science, 63(4):1033-42, doi: 10.1111/1556-4029.13741, 2018. Among Noteworthy Articles from 2018 in JFS. BMC Bioinformatics, 18(Suppl 8): 239, 2017. doi: 10.1186/s12859-017-1659-z. F1000Research 2016, 5(ISCB Comm J):1663 (poster) (DOI: 10.7490/f1000research.1112564.1). In Special Issue on "Myofilament Modulation of Cardiac Contraction" in Archives of Biochemistry and Biophysics, 601: 121--132, 2016. Proceedings of FAST, 301-314, 2016. Proceedings of IWBBIO, pp 225--227, 2016. Proceedings of IWBBIO, pp 437--440, 2016. Encyclopedia of Algorithms, Ed. Ming-Yang Kao, ISBN: 978-3-642-27848-8, pp86-90, 2016. Encyclopedia of Algorithms, Ed. Ming-Yang Kao, ISBN: 978-3-642-27848-8, pp846-852, 2016. Encyclopedia of Algorithms, Ed. Ming-Yang Kao, ISBN: 978-3-642-27848-8, pp1570-1574, 2016. Proceedings of ICCABS, October 2015. Invited Speaker, ICCABS, October 2015. BMC Genomics, 16(Suppl 11):S6 (Special Issue), 2015.
link R. Mittal, C. V. Lisi, R. Gerring, J. Mittal, K. Mathee, G. Narasimhan, R. K. Azad, Q.Yao, M. Grati, D. Yan, A. A. Eshraghi, S.I. Angeli, F.F. Telischi, X-Z. Liu. Current concepts in the pathogenesis and treatment of chronic suppurative otitis media. Journal of Medical Microbiology, 64(10):1103--16, DOI: 10.1099/jmm.0.000155, 2015. 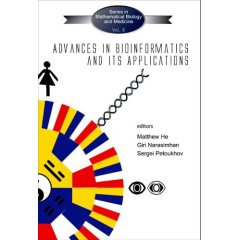 IEEE/ACM Transactions on Computational Biology and Bioinformatics, 12(2):445-454, 2015. Eds: Mandoiu and Zelikovsky, John Wiley and Sons, p333-351, 2015. Editor: T. Tollefsbol, Academic Press, Chapter 6, p153-180, ISBN: 978-0-12-420135-4, 2015. IEEE Transactions on Geoscience and Remote Sensing, 53(1):3-14, 2015. Abstract, American Thoracic Society International Conference, 2014. Keynote Speaker, ICCABS and CANGS, June 2014. In Bacterial Gene Regulation and Transcriptional Networks, Chapter 13, p199-221, Editor: Madan Babu, Caiser Academic Press, 2013. Proceedings of FSTTCS, 389--400, Leibniz International Proceedings in Informatics Series, Vol 24, 2013. Proceedings of Energy-efficient Networks of Computers (E2NC) Workshop, IGCC, 1--8, IEEE, 2013. 29th Southern Biomedical Engineering Conference, 2013. In DATA MINING: Foundations and Intelligent Paradigms, Dawn E. Holmes and Lakhmi C. Jain (Eds. ), Springer, Chapter 7, p123-162, 2012, ISBN 978-3-642-23150-6. Proceedings of the IEEE 1st International Conference on Computational Advances in Bio and Medical Sciences (ICCABS), p202-207, 2011. Proceedings of the IEEE 1st International Conference on Computational Advances in Bio and Medical Sciences (ICCABS), p8, 2011. Journal of Science Education 12(1):11-14, 2011. IEEE/ACM Transactions on Computational Biology and Bioinformatics, 7(4):1-2, 2010. Journal of the Indian Society of Agricultural Statistics, Special Issue on Statistical Genomics, 64(1):1-10, 2010.
International Journal of Knowledge Discovery in Bioinformatics (IJKDB), 1(2):12-28, 2010.
International Conference on Machine Learning and Applications (ICMLA), 2009. BMC Systems Biology, 3:62, 2009. Conference Proceedings (ISBRA 2009), Lecture Notes in Bioinformatics, Vol. 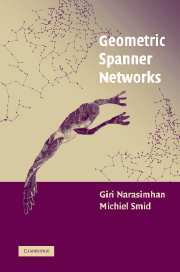 5542, Springer Verlag, 2009. Computational Geometry -- Theory and Applications, 42:923-33, 2009. Proceedings of Annual Meeting of the Multinational Finance Society, Crete, 2009. Computational Geometry -- Theory and Applications (CGTA), 42(3):231-240, 2009. IEEE Conference on Bioinformatics and Biomedicine (BIBM2008), p343-346, Philadelphia, PA, November, 2008. IEEE Conference on Bioinformatics and Bioengineering (BIBE2008), p1-5, 2008. Applied Soil Ecology, 40(1):146-154, 2008. LSS Computational Systems Bioinformatics Conference (CSB2008), p73-84, Stanford, CA, August, 2008. Encyclopedia of Algorithms, Ed. Ming Kao, p360-64, 2008. Encyclopedia of Algorithms, Ed. Ming Kao, p653-656, 2008. Encyclopedia of Algorithms, Ed. Ming Kao, p40-43, 2008. ACM Transactions on Algorithms, 4(1), Article 10, 2008. Proceedings of the National Academy of Sciences (PNAS), 105(8):3100-05, 2008.
International Journal of Bioinformatics Research and Applications (IJBRA), 4(1):107-121, 2008. IEEE Conference on Bioinformatics and Bioengineering (BIBE2007), 1343-47, 2007. IEEE Conference on Bioinformatics and Bioengineering (BIBE2007), 79-86, 2007. Dagstuhl Seminar Proceedings 06481, p1-21, 2007. LSS Computational Systems Bioinformatics Conference (CSB2007), 227-35, 2007. Proceedings of the IEEE CCGrid Conference, 65-72, 2007. Proceedings of the International Symposium on Bioinformatics Research and Applications (ISBRA), 109-20, 2007. Proceedings of the International Symposium on Bioinformatics Research and Applications (ISBRA), 329-37, 2007. Cambridge University Press, 560p, 2007. In Methods of Microarray Data Analysis V , McConnell, Lin, Hurban (Eds. ), Springer, p121-136, 2007. Computational Geometry -- Theory and Applications, 36:183-196, 2007. Henry Stewart Talks Series, 2007. Proceedings of the 6th IEEE Symposium on Bioinformatics and Bioengineering (BIBE), p61-64, 2006. European Symposium on Algorithms (ESA 2006), Zurich, Sept'06, Lecture Notes in Computer Science, Vol. 4168, p399-410, 2006. Journal of American Society for Horticultural Science, 131(6):806-813, 2006. White Paper in response to National Library of Medicine Request for Information (RFI) on "Advanced Informatics for Biomedicine", February 2006. Journal of Microbiological Methods, 65(1):49-62, 2006. Proceedings of the International Workshop on Bioinformatics Research and Applications (IWBRA), Lecture Notes in Computer Science, Vol. 3992, Springer Verlag, p694-701, 2006. Proceedings of the International Workshop on Bioinformatics Research and Applications (IWBRA), Lecture Notes in Computer Science, Vol. 3992, Springer Verlag, p702-709, 2006. Proceedings of the International Workshop on Bioinformatics Research and Applications (IWBRA), Lecture Notes in Computer Science, Vol. 3992, Springer Verlag, p807-814, 2006.
chapter 8 Bionanotechnology: Proteins to Nanodevices, p117-139, Springer, 2006. CISE-NSF Area Study: Computational Geometry, 2005. To appear, Proc. of ISAAC, Hainan, China, December 2005. Journal of Nanoscience and Nanotechnology, 5(11), p1759-1767, 2005. Proceedings of the International Symposium on Parallel and Distributed Processing and Applications (ISPA'05), Lecture Notes in Computer Science, Vol. 3759, Springer Verlag, p196-202, 2005. Proceedings of CSB'05, Stanford, CA, p329-340, August 2005. Proceedings of the 6th Atlantic Symposium on Computational Biology and Genome Informatics (CBG), p1282-1285, July 2005. Proceedings of the International Workshop on Bioinformatics Research and Applications (IWBRA), Lecture Notes in Computer Science, Vol. 3515, Springer Verlag, p944-951, 2005. Cellular Microbiology, 7(6):811-823, 2005. Electronic version of the article published in Cellular Microbiology is provided: complete citation information for the final version of the paper, as published in the print edition of Cellular Microbiology, is available on the Blackwell Synergy online delivery service, accessible via the journal's website at http://www.blackwellpublishing.com/cmi or http://www.blackwell-synergy.com. Lecture Notes in Computer Science, Vol. 3404, Proc. of the 22th Annual Symposium on Theoretical Aspects of Computer Science (STACS), p508-520, 2005. In Methods of Microarray Data Analysis IV , Shoemaker, J. S., Lin, S. M. (Eds. ), Springer, p207-222, 2005 [ISBN: 0-387-23074-2]. Computational Geometry: Theory and Applications, Vol. 29(3), p233-249, 2004. Proceedings of ICBA'04, p307-318, December 2004. Proceedings of ICBA'04, p81-92, December 2004. Proceedings of ICBA'04, p390-401, December 2004. Proceedings of ICBA'04, p240-251, December 2004. Proceedings of CAMDA'04: Critical Assessment of Microarray Data Analysis, Durham, NC, p16-20, November 2004. Proceedings of the IEEE Computer Society Bioinformatics Conference, Stanford, CA, p110-119, 2004. Journal of Medical Microbiology, Vol. 53(7):679-690, 2004. Proceedings of the SCI Conference, Orlando, July 2004. Methods in Enzymology, Vol. 370, Chapter 22, 250-264, 2003.
International Journal of Computational Geometry and Applications , 13(4): 303-316, 2003. Also Proc. of the 2nd INTL. WORKSHOP on COMPUTATIONAL GEOMETRY AND APPL. ( CGA'02), Amsterdam, April 2002. Proceedings of FST&TCS 2003, 217-228, Mumbai, India, December 2003. Proceedings of CAMDA'03: Critical Assessment of Microarray Data Analysis, Durham, NC, 63-67, November 2003. Proceedings of the IEEE Computer Society Bioinformatics Conference, Stanford, CA, p75-83, August 2003. Proceedings of the 20th Annual Symposium on Theoretical Aspects of Computer Science (STACS), Lecture Notes in Computer Science, Vol. 27, Springer Verlag, p38-49, 2003. Molecular Cancer Therapeutics, 1(14):1283-1292, 2002. Journal of Computational Biology, 9(5):707-720, 2002. Nordic Journal of Computing, 9(1):13-31, 2002. Lecture Notes in Computer Science, Vol. 2010, Springer-Verlag, pp. 502-513, 2001. Also, University of Magdeburg Technical Report No. 13, 2000. Journal of Statistical Planning and Inference, 102(2):377-387, 2002. SIAM Journal of Computing, 31(5):1479-1500, 2002. Proc. of ISAAC, Vancouver, Canada, p357-368, November 2002. Proceedings of SODA'02, 828-837, San Francisco, January 2002. Algorithmica , 32(1): 144-156, 2002. Computational Geometry: Theory and Applications, 23(1): 1-29, 2002. To Appear, Journal of Experimental Algorithms, 2002. Invited Speaker, International Conference on Information Technology, India, Decemeber 2001. Lecture Notes in Computer Science, Vol. 2125, WADS'01 , 438-449, 2001. Discrete Applied Mathematics, 109:3, 223-235, 2001. Nordic J. of Computing, 8(2):219-232, Summer 2001. Also Proceedings of APPROX'99 , 28-37, Berkeley, August 1999. Proceedings of SODA 2001, Washington DC, pp. 642-651, 2001. ASM Biofilms 2000 , Big Sky, MT, July 16-20, 2000. Proceedings of SWAT, Lecture Notes in Computer Science, Vol. 1851, Springer Verlag, 314-327, 2000. IBM Technical Report , 2000. SIAM Journal of Computing, 30(3):978-989, 2000. Proceedings of ALENEX'00 , pages 183-196, San Francisco, January 2000. Proceedings of SPIRE'99 , pages 63-72, Cancun, September 1999. B. R. Fernandez, pages 265-272, 1998. Proc. of ACM Symposium on Computational Geometry , Minneapolis, 307-316, 1998. Proc. of ACM Symposium on the Theory of Computing , Dallas, 186-195, 1998. Poster at Int'l Conference on Bioinformatics , Atlanta, Nov 6-9, 1997. SOFTWARE: Go to GYM Home Page.